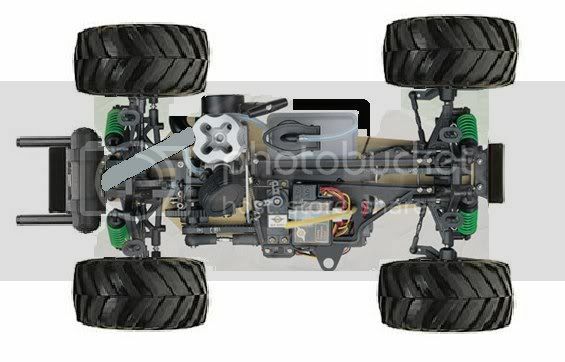 ok so all the ts4n models use the same swing arms but im wondering if i can get some longer swingarms like monster truck ones that will fit on the ts4n. See i have these big monster wheels made to fit 12mm hex cut but when i put on the rear ones get in the way of the exhaust, so either longer swing arms or a monster truck exhaust that goes round the back. i have 3 ts4ns all bought for £20 each and restored number 3 is in progress, i have my rally ts4n thats been raised and rally block tyres on and 15 pro engine and CPV twin Exhaust. i have this chassis for monster project with a 12 pro engine with band new carb and No.3 is lowered as low as possible with ford GT shell and Drift tyres. so in conclution where car i get a monster truck exhaust and manifold for to go round the back of the car? 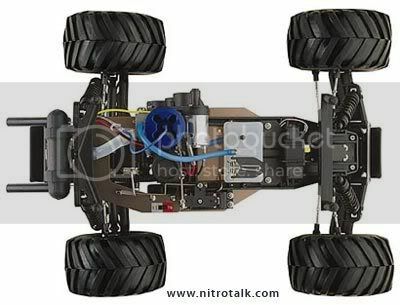 This is how i want the ts4n chassis to be. so where can i get this exhaust and the manifold and stuff, the engine sits in same place in same direction a ts4n.